Looking for great gift books for daughters online? Don’t miss this hilarious and emotional tale of a daughter and her devotion to getting her mom’s life back on track! 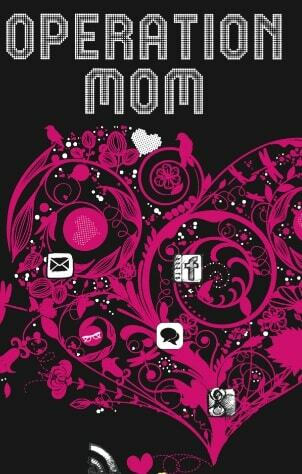 Operation Mom is also fantastic if you’re looking for books for mothers online, specifically one that’ll change her perspective on her daughter’s life. When you try to set your mom’s life right, be prepared to have your own life turned upside down. Seventeen-year-old Ila Isham has a lot to worry about. Theres the angst of being an Ali Zafar groupie, for one. Then there are the extra layers of fat she has inherited from her part-Punjabi lineage. Add to this parents who have separated, an enthusiastic best friend, Deepali, whose idea of variety means dating three guys at the same time and Aunty Maleeka, her moms best friend, whose good intentions and savvy skills throw up more problems than solutions and Ila’s cup of woes runneth over. Her life takes an exciting turn when she decides to hunt for the perfect partner for her mother. With a little help from Deepali, Aunty Maleeka and Dev of the inviting chocolate-pool eyes, Ila will have to brave it all – from Lagan.com and Ok-cupid profiles to handlebar-moustache colonels and middle-aged psychos, if she wants to succeed in her quest. Appreciate a few other insightful internet site our home page. The location otherwise might I get that kind of information printed in this sort of suitable technique? I own a challenge that we’re merely right now managing with, and i have been in the structure out intended for similarly info. Let em know how I can help.